The nerves that confer the sense of smell are unique when compared to the rest of the nervous system, in that they can trigger a robust and nearly complete regenerative response after injury. OE tissue contains two types of stem cells—globose basal cells (GBCs) and HBCs. The GBCs have been successfully cultured and appear to have a primary role in repopulating cells that have been lost to routine turnover. HBCs, however, remain dormant and are not activated until there is an injury. Unfortunately, studies on these cells have been limited by the fact that they could not be expanded and maintained in culture. In this study, the researchers determined the optimal conditions for expanding and maintaining healthy HBC stem cells in culture, borrowing methods and factors used to maintain respiratory stem cells. "Once we determined that we could grow HBCs in the lab, and that they expressed the same identifying molecular markers found in vivo, we sought to confirm whether they would work as well as the in vivo HBCs—can they regenerate tissue that has been injured—and they did!" said James Schwob, M.D., Ph.D., professor of developmental molecular and chemical biology at Tufts University School of Medicine, and corresponding author for the study. "The HBCs in culture remained quiescent, pretty much as they do in vivo, but we were able to trigger them into an active state to start the process of differentiation into various olfactory epithelial cells just before engrafting them into injured tissue," said Jesse Peterson, Ph.D., first author of the study and currently a post-doctoral fellow at the MRC Laboratory of Molecular Biology. Peterson conducted the study as part of his doctoral dissertation at the Sackler School of Graduate Biomedical Sciences at Tufts, advised by Schwob. The trigger used was retinoic acid, which has the effect of lowering levels of the protein P63 in the cells, leading to stem cell activation. P63 functions as a "master control switch" and is known to decrease levels during injury, transitioning HBCs from dormancy to activation in vivo. A more thorough understanding of the role of P63 has been hampered by the slow pace of in vivo studies. With lab-grown HBCs, the mechanisms of activation can be examined more closely. 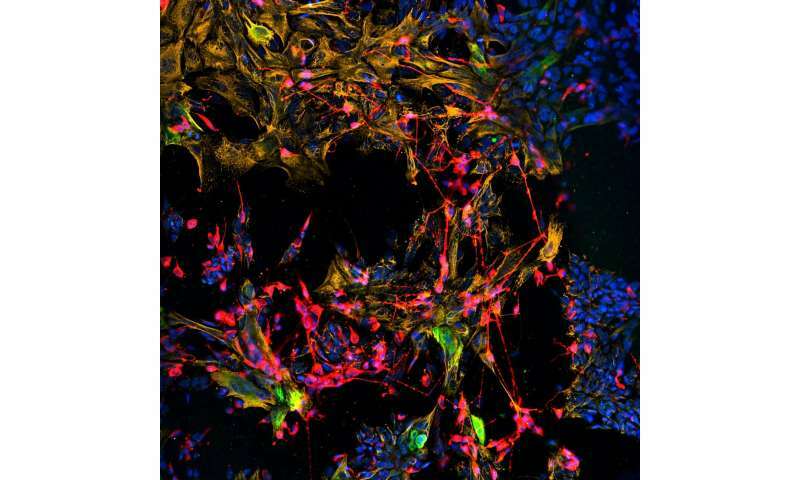 "Now that we can create a reserve of dormant stem cells, we see this as a useful tool for exploring ways to guide cell differentiation toward specific cell types, and develop new stem cell therapies for tissue and sensory regeneration—using the patient's own stem cells for culturing and transplantation, or pharmacological interventions to activate the patient's own dormant stem cells within the nose," said Schwob. If so, get a Dog's and transplant that into a mouse, rabbit and goat. If it works and if found safe in near or distant future.......we all can have it !